Key Lime Pound Cake | Rosetta Bakes! Preheat oven to 325 F. Beat butter and shortening at medium speed, or until creamy. Gradually add sugar, beating at medium speed until light and fluffy. Add eggs 1 at a time, beating just until blended after each addition. Stir together flour, baking powder and salt. Add to butter mixture alternately with milk, beginning and ending with flour mixture. Beat at low-speed just until blended after each addition. Stir in vanilla, key lime zest and key lime juice. Pour batter into a greased and floured 10-inch (12-cup) tube pan. Bake at 325 for 1 hour and 15 minutes to 1 hour and 20 minutes (I had to bake mine for 1 and 30 minutes for my oven), or until a long wooded pick inserted in the center of cake comes out clean. Cool in pan on a wire rack 10 to 15 minutes, remove from pan to a wire rack. Prepare Key Lime Glace, and immediately brush over top and sides of cake. Cool completely (about 1 hour). Mix all ingredients together and brush over top and sides of cake. I will try this on my 5 flavor pound cake using the lime zest and juice. can u send me the recipe to your 5 flavor pound cake. i used to have a great recipe but i lost it . 1/2 lb. Butter. 1/2 cup mazola oil. 2 1/2 cups sugar. cream together. Beat 5 eggsseparately and add to creamed mixture. Mix 3 cups flour (all purpose or cake baking flour) 1/2 teaspoon baking powder. Add to creamed mixture, alternating with 1 cup whole milk. Mix in1 teaspoon each of vanilla, lemon, rum, coconut and butter flavorings. Bake at 320 for 90 minutes… In a bunt cake pan that has been sprayed with Pam or something similar. When done, pour half of the glaze over cake, in pan, then turn upside down and remove from pan and pour remaining glaze over the cake. While the cake is still warm the hot glaze is soaked up by the cake. Glaze is 1 cup sugar, 2 cups water and 1 tsp each of vanilla, rum, butter, coconut, lemon.. Combine in saucepan until sugar dissolves. Pour hot over cake. I let mine cool for a few hours before I cut it. You are guaranteed to love this cake! I would think you could alhough I’ve not made this one with lemons. I have a cake posted called Lemon Chiffon and it’s very good. Not sure without looking if I’ve posted a lemon pound cake. You could use lemons. It comes out really good. And the lemon flavor really comes through. I see bottled key lime juice in the store here in Fort Walton Beach. Have you tried it? I don’t like to use bottled lemon juice because it has such a strong sulphur taste and I suspect the bottled key lims juice does as well. Thanks for posting this recipe! Hello neighbor, I live in Pensacola…Ft. Walton Bech is not that far away. I’ve not tried the botled key lime juice, so can’t say how it would taste. I would think in a cake it would still be good, but I don’t think I would use it for a key lime pie. In a cake you have other things that may alter the sulphur taste you speak of, but in a pie…it’s all pie except for a little crust. A lady brought a home made key lime pie to work one day and she used key limes and this pie I still think of…gotta get her recipe to post. If you love lime, you have got to try my “Key Lime Coolers.” These cookies are so delicate and have a yummy lime taste…and they almost melt in your mouth! I live in Okla. We can’t always get key limes so I use the bottled juice and it makes very good pies. I just made the cake so won’t know till later how the cake is. Altho bet my gr/daughter will like it when she comes to see me. Thanks for the info Anonymous! Let me know how your cake turns out! Hope you enjoy! I am from Florida and we have always used Nellie and Joes Key lime juice. It is really good in Key lime pies. Wouldn’t use anything else. And you would not have to cut all those small key limes to get a little bit of juice! I’ll give it a try next time a recipe calls for key limes. Susan, you have got to try a recipe for cookies I’ve posted. They are called key lime coolers. These cookies seem to actually melt in your mouth. They are very delicate and so yummy. good but it could be better with key lime juice. Also, do you have an alternate for Crisco in your Key Lime Cake? I would like to use canola oil. Lee, sorry to take so long in answering you, I was thinking I would find an answer to your question, but honestly I don’t know. I woul dnot use canola oil in a recipe that calls for Crisco, I would maybe use butter instead. I think you can buy butter made with olive oil now. I know I’ve bought it in a tub form, but not sure if they make it in the stick form like they have done with Crisco. Hope this helped. You can add equal parts of lime juice & lemon juice as a substitute for key line juice. I would use fresh squeezed limes verses bottled lime juice. Key lime juice is always best, but still delish with fresh squeezed limes. Most people will not know the difference. We are all intitled to cheat once in awhile, as long it it does not damage our health in the process! Try the gluten-free flour from JULES. I cannot tell any difference in quality of baked goods compared to traditional flours. Happy Baking! I agree Susan. Nellie and Joe’s is better than the real thing and I’m not a proponent of canned/bottled anything! You can order Nellie and Joe’s from Walmart online. They even deliver to your house free of charge, but you have to buy a case. I love their Key West marinade. Great on pork tenderloin. I use Nellie & Joes Key West Lime Juice in my key Lime Pie and it is delicious. I am sure it would be good in this cake except you would not have the zest. Nothing is better then fresh but it would be good to use if you cannot find fresh key limes. I live in Virginia and sometimes they are not available. By the way, this cake is delious. I made this recipe with Nelly & Joe’s key west lime juice and it was delicious! Thanks for letting me know! Glad you enjoyed! Key limes are not green, they are yellow, with a hint of greenish cast to them. Not ‘lemon’ yellow, but certainly not the green things seen in this picture. Those are Persian limes! They have a totally different taste, I can always tell it’s a ‘northerner’ when some one makes something and calls it ‘key lime’ and it’s green, or has green limes on top! I am native miamian and we had a key lime tree. Donna, I am so humbled by your knowledge about the Persian limes and Key limes, I’m actually impressed you can educate us all about the Key lime you so treasure, like those “green things.” Just to let you know I’ve lived in Savannah, Georgia and Pensacola, Florida more than half my life. I was born in Indianapolis, Indiana until age 3, then moved to West Virgina at age 12, then moved back to Indianapolis, Indiana until I was 18…then moved to Savannah, Georgia where I lived for about 36 years then to FL in the Panhandle where I’ve lived for almost 8 years. So as you see, I am a northerner in my heart, but a true south lady…my heart is in Savannah where I hope to return to one say when I retire. We southern ladies may take harsh words, but we have a way of letting you know your not so kind. Well said rosetta. I am from the UK and have enjoyed a number of your great recipes. I have to use whatever is the UK equivalent to the requirement of the recipe And the results are always delicious. Rosetta, this recipe looks so yummy and beautiful! Thank you for sharing it. I am so inspired by your gracious reply to the above rudeness. Being a Northern Lady through and through, tho I lived in NC for two years, can I use regular green limes to make this delicious sounding cake?? I have no idea of the difference in key lime and lime. Help, please? Tricia…yes you can. I’ve made this both ways and the difference is the cake with the key limes will have a stronger lime taste because key limes have a stronger lime flavor. I have had tons of compliments with this cake both ways! You can freeze any left over key lime or lime juice and use for other recipes. Love NC. Thank you Lacey! just because one lives in Florida (where I also live) does not give that person the right to judge another without knowing the facts. She assumed I didn’t know the difference. I’m sure she can go through my blog and find many things she can find fault with. I’m here to share things I bake, not to feel I have to defend myself when someone puts what I do down. Is that you Dr. Tring? Ditto, well spoken Rosetta!!!!!! Those are limes all day long. Can’t wait to purchase my limes and make this. Thanks for your comment Paige! In all honesty, that’s exactly what I did. I had the key limes in the cake and regular limes on the cake (shoulda. woulda, coulda). I thought the larger limes looked better on top; I really didn’t thank anyone would notice………..geezzzzz was I wrong. I know where Gainesville is. Thanks Paige! Yes! We southern ladies will let you say your peace and then look you dead in the eye and reply “That’s Nice” which translates to “Screw you”! So the next time someone tells you That’s nice….you know what they are really telling you! Anonymous, just sayin…it surprised me, it didn’t anger me. I realize there are all types of people in the world….some good, and some not so good. There will always be those who like to let you know they know more than you do…or that they are more educated, have a bigger degree, better car, better home, type better, proof-read better…and it’s okay because I know it’s true. That’s part of life I can never change. Rosetta, your “Southern lady” manners shine through. Ms Rosetta, The delicate reproof simple served to the previous poster raises my sense of taste; if the recipe is nearly half as good as your retort I am indeed in for a culinary treat!. I live in South Carolina, about 70 miles from Savannah and 45 miles from Charleston! We love Savannah and hope your dream comes true to return there!. I can’t wait to try this cake! I LOVE anything Key Lime! If you can’t get the real Key Limes you can’t go wrong with Nellie and Joe’s. They look like KEY LIMES to me. Small, green on skin and yellow fruit. Persian Limes are bigger and green fruit. The Key lime is a citrus species with a fruit that is yellow when ripe but usually picked green commercially. Your exactly right Mikki! I went to the store earlier and bought 2 bags of key limes and one bag of limes (small limes) and they are both the same color. If the key lime was on the tree longer ir would tuen yellow. 🙂 Thanks! If you know so much then you know that key limes are commercially picked when they are green. Not when they are ripe,which is when they are more yellow. So any key limes bought at the store, we seen’ t all lucky enough to have a tree, will have as a green rind with a yellow/green inside – exactly like the key limes that are pictured on the cake. Thanks Donna…the first thing that went through my mind when I saw the picture was don’t call it Key lime anything and put Persian limes on top of the cake. southern ladies want to get it right!! I guess both do not understand that I simply did not take the time to type out key lime in the recipe…I got lazy I guess and did not take the time…that’s it. The title of the recipe “Key Lime Pound Cake” should have let you know I meant key limes. I am a southern lady as well but I alo realize we are not perfect just because we are southern ladies. Hang in there, Donna. It takes time and skill to learn how to educate others without hurling insults and haughtiness in the lesson. I’m still learning, and I’m from Jacksonville, northern Florida. Diana, it’s not what she said, it’s the way she said it and she assumed that I did not know the difference between the two just because I did not type “key” in front of lime. I had key lime in the title but did not type key in front of lime in the recipe. I do not think my responses have been that bad. I totally understand what she was saying. I tried to answer every question a follower had about which to use. I feel like I’m saying this over and over. Not to worry. I was being sarcastic to Donna. I love lime pie, be it key lime or Persian. Limes are great whether they are true key limes or Persian limes or whatever. Good reply Miss Rosetta. None of us are perfect, are we, although there are some who think they are. The only difference is the key lime is more concentrated, stronger lime flavor…..either one is great in this recipe. Thank you anonymous! When they are purchased in the grocery stores in bags and are green is that false advertisement ? I live in Richmond and the Kroger Grocery Store here have them from Florida and they are small and actually green in color not with a yellow hue. Thanks for the information !! p.s. Thank you for the recipe, Rosetta. Well spoken GB :)….and Thank You! I am also from South Carolina – part of being a Southern lady is being gracious and I find that, Rosetta, you have been. Some people just seem to get kindness and things that really matter confused – let’s learn from lessons our parents taught us – BE KIND. My mother sure made that absolutely it clear to me! My South Carolina roots run deep – al the way back to the Revolutionary War —- so I am pretty Southern I would say —- and I don’t think key lime or lime are worth the unkind words logged about the one recipe. Thanks Rosetta for your recipes and trying to share them with all who would like to use them! Rosetta, I am not a “novice cake baker”. I bake all my cakes from scratch. I was very excited about this one because my husband loves the Key Lime flavor. I set my ingredients out for a few hours, so the butter would soften and the eggs wouldn’t be ice cold. I followed the recipe exactly. I baked it for an hour and 20-25 minutes. I cooled it on a rack. It completely filled my Bundt pan: I use a large Pampered Chef one to bake my Cream Cheese Pound Cake, which is my go-to cake. It however, did not rise any. It remained the same height throughout baking, and after I removed it from the pan, it fell at least an inch, leaving it with a 3/4 sad-streak, and maybe 1/4 good texture. To say I was disappointed would be an under-statement…I don’t like to fail at baking! Do you have any suggestions? Not sure I’ll try it again, but then again, I hate to be defeated! CJ, I wish I was a professional baker and knew exactly what the problem was. I know you have baked your Cream Cheese Pound Cake in the Pampered Chef Bundt pan, but every recipe is different. I bought a Pampered Chef Bundt pan earlier and was eager to try it. I forget what pound cake i made in it, but I had the same issue although not as bad as the one you made. The cake I made in the stone did not rise the way it should have. I’ve not baked a pound cake or any type of cake since. My Bundt stone is not that sesoned…so I think once it’s seasoned cakes will bake in it better. Also altitude and humidity plays into why some cakes do not turn out well. If you decide to make it again, I would try a regular bundt pan….if you ever make it again. If anyone else has an opinion what may have caused this to happen, please let us know. Rosetta, it was a rainy day in NC, so maybe I will blame it on the weather! Funny thing is, I took it to work, because as you know, medical folks will eat anything…lol. Everyone agreed that it tasted great and would be willing guinea pigs should I try again. I’m thinking maybe reduce the liquid, if not the lime juice maybe the milk. And maybe I will wait for a sunny day! Thanks for posting it. When I have time I need to check out some more of your recipes! CJ, thanks for your message. I have had several people mention this cake did not turn out right for them. I’m going to look at the recipe again to make sure there was no type o. I’ve also had a few people tell me it turned out great…go figure. Anyway, here is a repeat of some things that may have caused your cake to now turn out as well as you would have liked. I hate that you have to change the ingredients for it to bake the way you would like. Anyway here is some of the info: I wish I knew what happened also. I really hate when I post something that I think is great and then have people tell me it did not turn out for them. I really don’t have any answers for why it didn’t turn out. Again, maybe humidity, climate, altitude or oven temp. When baking (and you may already know this), have eggs at room temp. If your in a hurry and they are not room temp, put them in hot water for 5 to 10 minutes and they will be just right. Also, add room temp milk and softened butter. Maybe all 1 teaspoon baking powder instead of 1/2. I have a lady bake hers in a Pampered Chef stone bundt pan and it did not turn out…it fell. The same thing happened when I baked it in a bundt stone. I know you used a regular bundt pan, but I wanted to let eveyone it does not turn out right in a stone bundt pan. Thanks for letting me know, I wish I had the answer. I will look into why it may have fallen; I have a really good cake doctor book and maybe it will have some answers….but, I bet a lot of them are what I mentioned. I baked it in my grandmother’s old school tube pan (that she perfected pound cake in over the years) and it was perfect. Baking another one today for Christmas:) Great recipe! This recipe looked so good, but my husband and I tried it twice…the same thing happened with ours. Both times it looked fine while baking then fell after taking out of the oven. About 1/4 of the first one was good, the rest was very heavy and it’s hard to describe the texture, other than rubbery. We just took the second pound cake out of the oven and it also fell (not as bad as first though and not as rubbery texture). We used a regular bundt pan and cannot figure out what happened. The taste of this cake is wonderful and we would love to get it right. Any suggestions? I wish I knew what happened also. I really hate when I post something that I think is great and then have people tell me it did not turn out for them. I really don’t have any answers for why it didn’t turn out. Again, maybe humidity, climate, altitude or oven temp. When baking (and you may already know this), have eggs at room temp. If your in a hurry and they are not room temp, put them in hot water for 5 to 10 minutes and they will be just right. Also, add room temp milk and softened butter. Maybe all 1 teaspoon baking powder instead of 1/2. I have a lady bake hers in a Pampered Chef stone bundt pan and it did not turn out…it fell. The same thing happened when I baked it in a bundt stone. I know you used a regular bundt pan, but I wanted to let eveyone it does not turn out right in a stone bundt pan. Thanks for letting me know, I wish I had the answer. I will look into why it may have fallen; I have a really good cake doctor book and maybe it will have some answers….but, I bet a lot of them are what I mentioned. This recipe is from a Southern Living cookbook (from what I remember) and I had a follower tell me that the recipe calls for 1/4 cup of key lime juice instead of 1/2. Hopefull that is the issue that has now been corrected. Still strange one person bakes it and it falls and another bakes it and it turns out perfect. Anyway, I’ll look at the recipe when I get home from work. Hope this is the issue. Keep up the good work on your blog. We are trying the cake again tonight. My husband and I both agree that it is the best tasting cake ever…just got to get the texture right. Thanks for the information. I’ll let you know how it turns out. and reduced the milk by about 1/4 cup. Wonderful recipe! I bake this cake and had no problem. It was delicious. As a Key West Conch I say good job and thanks for this recipe will bake the hound at out this. I live in SC now and can get Key Limes at Wal Mart neighborhood Market. Thank you Anonymous, so happy you like it! I will often get my key limes at Walmart also. So sorry Linda. 😦 I’m not sure why it turns out great for one person and not another. I told someone earlier that I have a cake doctor book and I’ll look into it to see what may have happened. I am not a professional baker; but, I think I may have an answer to the problem. Pampered Chef pans baked differently from their metal and glass counterparts. I had the same problem with my Pampered Chef Bundt pan that I received as a gift compared to my heavy metal Wilton brand Bundt pan. I tried to bake my “go-to” Chocolate Pound Cake, that had never failed me before, in the Pampered Chef pan. By the way, the pan was seasoned and I had success with several of the Pampered Chef cake recipes before I went to my older recipes. My “never fail” pound cake had to be baked much longer then usual and it fell. I know that I will probably step on a few toes here; but, I gave the Pampered Chef pans away. I should have added that I think the moisture in the cake batter needs to be reduced to use in the Pampered Chef pans; but, that can also alter the texture of a cake not formulated by the Pampered Chef bakers. Kc5dnw, we all learn what works for is and what does not work for us that’s for sure. I have quite a few Pampered Chef stones (which I love), but they have to be really well-seasoned for baking. I love the loaf stones for meat loaf, but they work great for breads. I’m not crazy about the stones for cookie baking, I prefer using a cookie sheet lined with parchment paper. I love the pizza stones for pizza and biscuits. I want to buy a bundt cake stone next, so I’m not able to say right now how a bundt cake bakes in a stone. We all have to learn what works for us when it comes to baking. Most of my cake pans are Wilton cake pans. I line the bottom with parchment paper and wrap them in cake wraps…they always turn out level and come out of the pan without sticking to the bottom. Hey, I just thought of another page I should make…”Baking Help and Tips.” This would also be good for every one to post baking tips on. Thanks for your message Kc5dnw! You need to fix your printing . I ask to print Key Line Cake and got 20 something pages of questions and your reply before it printed the cake. That’s weird, you would think it would print the recipe first. Maybe for now jus copy and paste into word, then print. I’ll have to look into this with Word Press. Thanks for letting me know. Your printer is probably set to print the last page first so when you take it from the printer the document starts with the first page. Set your printer to print the first page first and cancel the print job when the recipe is printed. Or, copy and paste the recipe to a word processing program and print it that way. My printer lets me choose only the pages I want to print. I am sure going to print this one. I love key lime ‘anything.’ I will probably use Nelly and Someone (whose name I can’t remember) Key Lime Juice, and probably garnish it with a Persian Lime. We northerners don’t have often accessibility to the real thing. I just printed it to see if I corrected the problem, but so far it’s still printing all pages…but, now it prints the recipe first. I’ll still look for how it prints only the recipe. You can copy and past into word and print from there for now. Thanks for letting me know! What can I use instead of Crisco shortening? I have not use shortening of any kind in over 15 years. Can it be eliminated for this cake? I’m sure you can use butter but I’m thinking you don’t use that either. I’ve heard you can use yogart or applesauce, but not sure how much. Maybe someone reading this question may help you out. Sorry I can’t be of help for you. I will be making this cake for my granddaughter this weekend coming. Thank you for the recipe. It looks so moist and good, I can hardly wait to make it for her. This cake is beautiful! Cannot wait to try the recipe! 35 pages of blog before I got the recipe. Printing just the recipe would be nice! I’m really sorry about that’s happening, someone else said the same thing. I’ll look into it. Thanks for letting me know. In the meantime…if you know how to copy n’ paste, you can put the recipe in Word and print it from there. You can select only what you want to print, and copy it to a word processing program then print it from there. If you use an iPad put it in your ‘Notes’ and print it from there. I love pound cake, my favorite as well as angel food. LOVE KEY LIME PIE and I am going to make this pound cake. Also, childhood spent with no electricity or telephone until I was a teenager. Grew up in southwestern part of VA, in the country, dirt roads, coal being the main occupation. But it was a safe and fun time. Will check your page when I am looking for a recipe. Love looking at cookbooks. Donna, those were hard times in the coal areas of West Virginia and Virginia, but as children…we didn’t know exactly how hard our parents had it, we were too busy out doors playing! No bathroom inside the house, well water for drinking and bathing and washing clothes…and we all drank from a tin bucket and a tin ladle…. and we all lived! lol On a second thought, maybe thats why my bones ache today!! lol Oh, I love cookbooks!! While this is a good cake it is rather tart. looked up the Southern Living recipes for a key lime pound cake and found the exact recipe except, it calls for 1/4 of a cup of key lime juice instead of the half a cup listed in this recipe. Anonymous, that’s exactly were I got the recipe (from what I had remembered). I’m still at work and planned to look at the recipe after work tonight. I don’t have the recipe from my cookbook in fromt of me, but I take your word for it. We all make mistakes and I’m sorry for typing 1/2 instead of 1/4. I’ll edit the recipe now. I still do not understand how this recipe turns out perfect for one person and not for another. I usually let members know where I got the recipe from…but I see I forgot to add it at the bottom, That’s usually where I state where the recipe cake from. The Key Lime cake (a different recipe) is country singer Trisha Yearwood’s recipe…it’s really good! Now we know what the problem was and I do really appreciate your response so much! One pound cake cooling. I tasted some of the crumbs and they were delicious. I hope you enjoy the cake Sheryl! The glaze on the cake is so yummmy that I often double it! I want to try this.Can you use Cake flour instead of all purpose? I’m not sure if I’m answering this twice, but I may have typed my response to you earlier today and then got a patient and had to close out of the message. Anyway, yes you can use cake flour instead of AP (all-purpose flour), but try not to do it on a regular basis. 🙂 Always sift your flour first, then measure it after it’s sifted. If you only have cake flour and the recipe calls for all-purpose flour: Substitute: 1 level cup cake flour minus (take away) 2 Tablespoons cake flour. If you only have all-purpose flour and the recipe calls for cake flour: Substitute: 1 level cup cake flour plus 2 Tablespoons cake flour. just made the key lime pound cake. I followed directions and mine turned out awful! it fell, it was heavy, it seemed to be mixing ok until I added the lime juice, then it seemed to break up the consistency. what do you think? I don’t know what the problem was Brenda. I feel like I keep saying the same things over and over as to why this recipe is not working out for some of you. I am not in your kitchen, so I don’t know what you may be doing that is causing this cake to flop. Weather, humidity, expired ingredients, not sifing, sifting too much, not following the directions to a T, altitude, brands, opening the oven during baking, oven temperature not accurate and so forth. Just made this cake and followed the recipe and it came out nice and moist. I think the Crisco helps to give the cake a better texture…not really sure. I recently made a batch of my buttermilk biscuts that call for a half stick of butter and 1/4 cup of Crisco and forgot the Crisco (talking to someone at the time). The biscuits still baked, but they were much heavier, not as light and not as tall. So, it did make a difference in my biscuits, not sure about the cake…I would use both. Remember, the recipe is not my recipe, it was from a cookbook. Maybe contact Southern Living or google. It’s good ,not just jaw dropping, the glaze is meager…needed more…guess I could have doubled it. Patty, I would think it’s okay. I used a bundt pan and it was perfect. My co workers loved it. Thank you!! I live in Pensacola too! I’m going to try your recipe for the Key Lime Cake. Marcia, I hope it turned out great for you! Sounds wonderful! Will try this soon! I love to bake but I only do it at Christmas. What is the best way to dip anything in chocolate where the whole item is covered and what type of chocolate is the best to do this with! I have a problem with my white chocolate getting hard to soon. Do you have a secret?? And where can I take a class that will help me do this ?? Directions1. Melt chocolate chips and shortening in heavy saucepan over very low heat; stir until smooth. 2. Allow mixture to cool slightly. Dip fruit or fruit slices about 2/3 of the way into chocolate mixture. Shake gently to remove excess chocolate. 3. Place on wax-paper-covered tray. Refrigerate, uncovered, until chocolate is firm, about 30 minutes. About 1/2 cup coating. MICROWAVE INSTRUCTIONS: Place chocolate chips and shortening in small microwave-safe bowl. Microwave at MEDIUM (50%) 1 to 1-1/2 minutes or just until chips are melted and mixture is smooth when stirred. Allow to cool slightly. Dip and serve fruit as directed above. Also, if you are melting the chocolate in the micrawave, the power setting may be set too high. I think it’s melting the chocolate at a very low heat, then turn the stove off and let the chocolate sit and then stir. Put the chocolate in a cup for easier dipping. I use chocolate and 1/2 block of parkin melted together. I melt mind in double boiler and keep it over hot water. You know Anonymous, that’s what I use when I make my peanut butter balls at Christms time. I melt them together in a very small crock pot with parafin. The crock pot keeps the chocolate from getting hard because as you dip your fruit, the chocolate will stay melted. If any one does not know anything about parafin, it’s a wax like rectangle shape and comes about 5 or 6 to a box. It’s in the sections at the grocery store where canning products are. This is the wax a lot of people who can use the for canning. There are a lot of steps, but you can do short cuts if you don’t want to do scratch. I think Duncan Hines makes a Red Velvet Cake mix…use that, then buy a cheesecake, but you’d have to cut off the graham cracker crust. 😦 I know it takes time, but if you want to wow someone…this is it! I’ve made this for a wedding, and I’ve made it for doctors, nurses, corpsman and medical assistants at the hospital and they loved it! It sounds ok, but key limes have a different taste than regular limes… and there is no “key lime” anything in this recipe. Your right Gigi, there is a difference. I’ve made this cake with key limes and the cake is a litle more tart but you can taste the lime in it more. I have corrected the post and put Key Lime in place of lime. This photo did have key limes on it…they were still green. It’s true, the more ripe a key lime is…the more yellow the cake and icing will be. Even though the key limes is yellow which makes the cake more yellow, some people prefer to use a little food coloring in green to give it that green color. Looks to me like there’s “key lime” zest and “key lime” juice. What more do you want!? Yes there is. There is key lime juice and key lime zest. lol, that’s true Randy! You want a zester that makes the zest small…don’t use a cheese grater! Very good I would put more lime. Everyone is different in the amount of lime to put in that’s for sure… the amount in this recipe is good place to start, you can always add more but be careful you don’t add too much or the batter will be too thin and may not rise the way you would like. You really need a proofreader. I’d be happy to proof for you! Just let me know if you ever need me to. It’s something I actually love to do! I sure wish it was my thing! I got my GED in 2002, then I walked into a college “South University.” in Savannah, GA and next thing I knew I was enrolled. I graduated in the year 2004 at the age of 52 as a CMA. I now work at the Navy Hospital in Family Medicine….so, am I a great speller or proof reader…no, but I’m still proud to have won a scholarship and graduated with a 3.40….after 35 years out of school. Hey Mary, let me know if you see any errors. Thanks! Good for you! Ignore rude people! Thanks Stacey! There are always going to be those who think they know so much more than you and there is nothing I can do about rude people. Your right, I should just ignore them. I have been trying to figure out if I was too old to go to college. You just convinced me I am not. I will be 50 this year, my job closed and after 15 years, I don’t know what to do. I have thought about college, but have been scared to take the step. The funny thing, I love to bake also, but I usually don’t read the comments after I read the recipe. I guess this was meant for me to see. Thanks Rosetta, for the recipe and the inspiration! “Anyway, the reason I went into detail was to let you know if you decide to go back to college because I enspired you…I’m truly honored.” It’s inspired with an i. You say that as a medical assistant you have an associates degree and that others have a certificate and theyt go to school only 1 year. Was wondering if having a degree makes any differnce as far as salary or if all medical assistants start with the same basic salary? Aqua, when you are certified medical assistant (CMA) you will have a much better chance of getting hired. The contractor I work for at the Navy hospital will only hire CMA’s, if I was an MA, I would not get hired there. A lot of MA’s have a certificate and they take a test at the end to be certified. The only way it’s different for me is that I certified through the AAMA (American Association of Medical Assistants). Does it get me more money? not really. I didn’t know when I started college in GA I had no idea before starting college. I still have sealed transcripts so I can go on to be an LPN or Nurse…but I really don’t want to. I don’t know what state you are in, but in Pensacola, Florida, you could be a CMA in one year. I love my job…but soooo looking forward to retirement one day. Crystal, You are never too old to learn. I started college at age 50 and, yes, it took me seven years, but I graduated with honors. I loved being in the classes and learning after so many years out of high school. I met many people and made many friends. One of the best experiences I have had in my life. It is not too late to return to school to get a degree or anything that you put your mind into. I am a 56 year old woman and I will be graduating the first Saturday in March 2014 with my Bachelors of Science in Business (Management) so young lady go for it. You are doing a great job and thanks for the delicious recipes! The comment Anonymous made about you needing a proofreader was RUDE!! I was taught if you can’t say anything nice then do not say anything at all!! Anonymous should adopt this practice. I usually do not comment on posts but that comment hit me wrong this morning. You maintain this baking blog and share wonderful recipes for any & everyone to use just because you have a love of baking. I think you are a wonderful person for doing this and I appreciate the time and effort you pour into this blog in your busy life. If Anonymous is bothered by any typos-he/she should not visit your blog. I am sure Anonymous has made typos/spelling errors in their writings at one time or another because no one is perfect! Also, congratulations on obtaining your GED and college degree!! This was unneeded. If you don’t have something good or nice to add. Don’t add anything. Immature. Do you use tequila with lime juice or instead of? And how much? With the lime juice, I would just add the tequila, maybe a tad less milk in place of it, but still use the milk and lime juice. You are very kind to put great recipes and information out there for all to see. There are are plenty to appreciate it. If you must make a corrective comment, try to be kind, and not so rude. I would love to get your new recipes! Use the tequila in the icing … add 1 tbsp and increase the powdered sugar by 1/4 cup. I hope you enjoy! When I saw Trish Yearwood make it on her show, I had to make it….it is a keeper for sure if you love key limes or limes. I totally agree Peggy, they are different. I guess I typed up the recipe when I was tired after work at the hospital all day. I made the correction in the recipe, if you see any other errors, please let me know as I am far from perfect. I can’t wait to try this cake. Thank for asking Brenda, it’s the outter skin of the lime or key lime. It’s best to by a zester from a kitchen store, Walmart or Target, and other stores that carry kitchen supplies. You hold the key lime or lime and on top the zester and quickly rub it back and forth…you don’t want the white part inside, only the outter part with the color. This puts more flavor in the recipe in addition to the juice. Good idea Maureen! I hope ii turns out well for you! Let me know how it turns out! Tiffany, I don’t know that you can but key lime zest, I’ve never seen it for sale. Tiffany, it’s really easy and you learn by your mistakes. You hold the zester in your left hand and then hold the key lime with your right hand and just move the key lime across the zester. Firm enough for the zester to shred off some of the key lime. When you see white, then turn your key lime to another section and do the same thing all aroung the key lime. 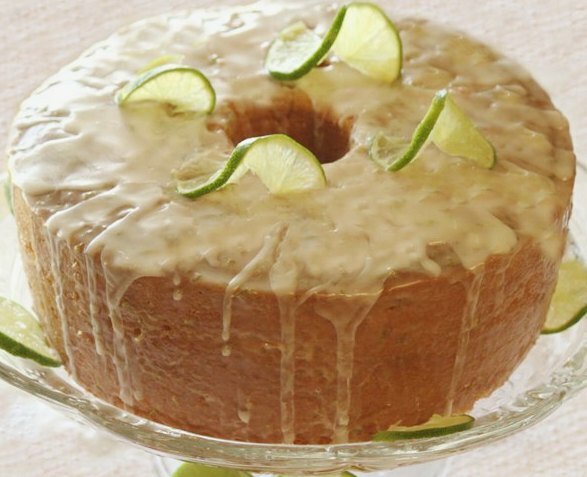 You can still make this cake with key limes and it will still taste delish! Is it regular milk or buttermilk? OH MY Goodness! This looks so yummy its making my mouth water right now. Hi, Rosetta, I’m Julia from S.C.! So glad I found your site on Face book. My daughter and son in law have birthdays in January and I’m going to try this one out. Hope mine looks and taste as good as yours. I think I will be using your site quite often. Your recipes all look and sound so wonderful. My New Life Style Resolution includes learning how to bake flavorful pound cakes. My mom was not a baker. Her sisters and friends enjoyed baking on our double Roper oven. I enjoyed the cakes yet I never learned to bake. I’m excited about your recipes and blog. I will prepare to bake a different pound cake each month. Good for you Tanya! You should start a blog with all your pound cakes and what you think of each…have fun! This looks incredible. I love Key Lime. Thank you Deborah, I hope you enjoy it if you decide to make it. Here is the link (if it works) to her blackberry dumplings. I’m not sure if you have to join or not. I’m going to make the Key Lime Pound Cake it looks delicious. Thanks for posting it. I had mentioned to a friend or two some time ago an idea to do a gimlet pound cake. This recipe would pretty much do the trick, with the addition of some gin. Tanqueray makes one infused with rangpur lime and ginger that should do nicely, if one’s so inclined. wow! Now, talking about making the mouth water. I love any pound cake so I can truly imaginme how good this one must be. Thanks for sharing! can’t wait to give this wonderful looking cake a try, and thank you so much for sharing!!!! Could this also be made in muffin tins for cupcakes???? This looks delicious! I am trying it soon. This sounds AMAZING and I am going to HAVE to try it! My daughter and I were also talking about blogs today and wondering how and where you start them? I am new to your site but WILL be back! Thank you! Thank you Jann, it’s not too hard to make a blog, there are lots of free sites where you can make them…Word Press is just one of them. With Word Press you can buy your own domain for under $20.00. Sometimes my cakes do better if I bake them in a 9 by 13 pan. Have you ever done this? Landbreville, I’ve never baked a pound cake is a 9 x 13. If I can do a crustless cheesecake in a 9 x 13 pan I’m sure you can bake a pound cake in one, but never tried it that way. I would think you’d have to double the recipe for it to be thick enough. I’m sure many great recipes where made on wood and coal stoves! I use a lot of cast iron today which give me that down home country feeling! The Blue Ridge mountains are so beautiful. I now live in Florida and both places have their beauty that’s for sure! This cake looks delicious, can’t wait to bake it. This looks fabulous but is it made with “key limes” or regular limes? Someone made me a key lime pie and used regular limes. Needless to say it was not edible! Sandy key limes for the best flavor…but can be made wtih regular limes and still taste delish. Could the shortening and/or butter be replace with Canola oil? Edd, I’m not really sure, a lot of cakes use oil instead of butter, but not sure really. I’m pretty sure they make a butter now with canola oil in it…I would probably use that. Wonderful receipe!! Thanks for sharing!! Sounds wonderful, Rosetta. I’m going to try this. Thanks for sharing. Fabulous recipe, Rosetta. What if I don’t want to use shortening? Can I substitute more butter? I would think that would be fine to use butter instead of the crisco. The taste may be a little difderent, but I think it would still be good. Since I’ve never done this with this cake, I’m not 100% sure. Thank you for this delicious pound cake recipe! This cake definitely will become a staple in my recipe repertoire. And unlike you, I’m not sharing the recipe!! Lol!! Alonzo, too funny!!! lol It will become your “non-share” recipe! When you make it, let me know what you think of it. Fresh key limes are recommended in this cake, but limes work great as well! I wanted to make this cake with Key Limes but since I had no key limes in the house at that time, I decidedd to use regular limes instead…and the end result was still a great cake! Patty yes it can be baked in a bundt pan. Rosetta, key lime juice is fairly readily available in the grocery store these days, but I have never seen fresh key limes any place other than Florida. Don’t know where you currently live, but is there a special place where you get fresh key limes? Have you tried making this in a bundt pan? The Key Lime lime (Citrus aurantifolia Swingle), also referred to as a Mexican Lime, bears a profuse amount of small, thin-skinned, greenish-yellow limes. This juicy lime is known for its distinctive aroma high-acid content. The picture below shows the size and color difference between the more common Persian lime and the The Key Lime lime (Citrus aurantifolia Swingle), also referred to as a Mexican Lime, bears a profuse amount of small, thin-skinned, greenish-yellow limes. This juicy lime is known for its distinctive aroma high-acid content. My son loves Key Lime, he is home from college and I am trying this cake today, I hope it turns out as pretty as your picture! If he likes limes, he should enjoy this cake! This sounds delicious. I just got a new stove and this is going to be the first thing I bake. Can’t wait to try it! Thanks Anonymous! Hope it turns out great for you! Nellie & Joe’s Key West Lime Juice….can be found at Kroger and most Wal-Mart stores. Their Key Lime Pie recipe on the bottle is AMAZING too. Your cake looks delicious—will definitely try it. Have you tried substituting the flour for coconut flour? For those of us with gluten issues this looks like an aawesome recipe, but killer to the gut. Anonymous, no I’ve not tried this…but I will try it later on. Right now I’m not able to bake because I had surgery on my wrist (Dequervain’s Tendonitis). As soon as my wrist heals, I will be trying this with the coconut flour. Thanks! Followers, I do have lots of recipes to post, but I’m not supposed to be typing either. I’m actually getting pretty good at typing with one finger on my left hand! This will be all behind me in a few weeks…then back to baking! Ok, first of all, “Anonymous” needs to stick it with his/her rude comment about proofreading. This is a blog that takes its creator’s valuable time to write, and as far as I can tell, it’s free to the public. So, if you don’t like it, don’t read. But either way, you need to keep your petty criticisms to yourself. And as for me, I really appreciate Rosetta Bakes taking the effort to share this delicious-looking recipe that I am planning to try TODAY! Very, very excited! Thank you! Thank you Lisa. Everyone has an opinion that’s for sure. People do have feelings but some people choose to be rude to people anyway. Just a regular person here, I’m not a professional baker or writer that’s for sure! Absolutely! And you were quite gracious to handle it as politely as you did. Bravo! And now, I am off to buy my cake ingredients to give it a shot! Yum! I am a Travel Nurse and TRUST ME….when I get home this next weekend, I am gonna do my BEST to find some Key Limes so I can make this amazing cake!! I will also use Stevia so my precious diabetic husband can enjoy it!! THANK YOU! Oh and as for spell checker….those who are hating need to get a REAL life! Geez yall! Sounds good Anonymous. I should try it with Stevia or Trivia and see how it taste…I guess I keep putting it off because I’m afraid it won’t taste as good as the orginal recipe. I know your tired when you get home. I work in Family Medicine at a Navy hospital here in Pensacola, so I know about being on your feet and the stress of making sure everything you do is perfect. Oh as far as the spell checker comment….thank you! “This pound cake is so moist, and so delicious.. The cake is soft and so moist… it’s, soooo yummy and flavourful!” —-> Maybe a bit of re-reading before publishing would help. I’ll have to go look and see what I typed rrttaass. Sometimes I’m very tired after work when I type up a recipe. I do try my best to proof read, and I use spell check, but it doesn’t catch everything. I’ll have to go look to see what was typed in error. It helps if anyone sees an error to let me know so I can correct it………..I’m totally not perfect. Bloggers do a lot of typing and errors happen. That’s why it’s important for anyone following a blogger who posts recipe to let the owner of the blog know when you see an error. Seriously? Did any typos detract from the meaning of the recipe? Could everyone read the recipe and understand it? If so, pipe down and be thankful for the recipe that this hard-working lady was gracious enough to post in her limited free time. I mean, honestly, I was a professional writer before I opened the company I own with my husband now, and I know what goes into blogging. If you have never done it, it’s not as simple as typing and saving a Word document on your computer. So, how about we just all give a word of thanks to this lovely lady for taking her time to share this delicious recipe, and cut her some slack on the typos. My goodness, what in the WORLD!? I have 2 questions. Do you use whole milk? And at the end, when recipe says stir in vanilla, zest, and juice, is that with a spoon and for how long? I’m getting my cooking and baking legs back on now that I have a little more time, so I need a few more specifics. Thanks. This looks like a delicious cake. Will try this cake it sounds delish! Hope your wrist heals soon! Do you think a little more Key Lime Juice would work in place of the Key Lime Zest? Jennifer, you don’t have to add more key lime juice if you don’t want to use the zest…just don’t use it. I would use the zest because it gives the cake more flavor, but you don’t have to add it. You could add a little more key lime if you want to, just be careful it’s not too much. Is there a reason you don’t want to use the zest? I didn’t have any and I didn’t have time to run to the store. I ended up making something else, but definitely want to try this recipe sometime. hello… I read the first few comments, then scrolled down to the end. I HATE rude people, and I am convinced that being rude is totally unnecessary. i’m glad that you have “thick skin”. 🙂 anyway, I didn’t get an understanding on the lime vs key lime. I want to make what looks so yummy on what’s pictured. did you use regular limes? i’m game for either, but, just wanted to make sure that I don’t make a total mess of your creation. thanks and be encouraged!!! good evening rosetta, this is the very first blog that I ever attempted to correspond with and am a bit disappointed that I haven’t received a reply… i’m not sure if I did something wrong and you didn’t receive my message, because others submitted after I submitted mine were answered… perhaps the “blogging world” isn’t where I need to interact. i’m still encouraged to bake the wonderful looking cake that you have posted. I had a bit more time this evening and read through the other posts. I have the answer that I was seeking and looking forward to baking the cake towards the end of this month! have a wonderful 2014!!! I saw it posted on Facebook. You know you almost made me cry…but in a good way. Thank you Carolina. ❤ I hope you enjoy it when and if you make it! I hope it turns out great for you! Let me know Sheria how it turns out. Making this as we speak! Smells wonderful. I got key limes from Palm Springs, CA that I am using. My question is how is shortening different than butter? Today, I used 1.5 cups butter because I didn’t have shortening. Just thought I’d ask what does shortening do that butter doesn’t? Irene, that I don’t know…I’m just a regular baker like you. I know I’m not going to have the answers to what some followers will ask, but if I don’t know…I’ll say I don’t know. I think it’s just a preference, but I also know that it can make a difference in how some things taste. If I make my M&M cookies with butter, they do not turn out as well as they do when I use shortening. Same for my “Grandma Shober Cookies.” That’s all I can say, maybe others will let you know what they think. I hope this cake turned out great for you! It was fabulous!!!! Tasted very good. Next time I will try with Crisco too. PS: my dad is from Savannah and my grandparents are buried there. So, I just had to try this!!! Great recipe! Thank you Sandi, I hope you enjoy! Made this cake today and I am not that great at making cakes but it’s perfect and it tastes awesome. My new favorite! Thanks for letting me know Vicki! 🙂 Glad it’s now one of your favorites! Dear miss Roseetta, my neighbor just made this cake and gave me a piece of it…. it was DELICIOUS!!!! I have been reading some of the comments that people have written and I am truly amazed and beyond flabbergasted that some have made such an ordeal out of the lime ,key lime distinction…. thank you for posting this recipe as I am now going to go home and attempt to make one myself…. hopefully in the future you will not get so much flack from the people who I am sure are completely pefect and NEVER say or do anything that might be in the least bit inaccurate! Thanks again for the fabulous rescipe!! Wish me luck as im not the best baker in the world. I hope that you and your family have a wonderful new year. Thank you Anonymous! I wish you much success in making your cake! I’m very happy the cake turned out well for our neighbor. Happy New Year to you as well! My friend just shared your key lime pound cake recipe with me. I consider myself a fairly good cook. My main ingredient is LOOOVE. I can tell we have something in common. Thank you for the love you share with all. I cant wait till I make my family your fabulous cake, I am sure they will be very happy. Peace and blessings with a big smile. Thank you bunches Virginia! I hope your family enjoys this cake! In my world lemons are yellow, limes are green, don’t care what variety. But, at the end of the day, why does it matter? Peace! I have just taken to baking and canning last year. I will try this recipe. Sounds great. We have a recipe for a fuzzy navel cake that is delicious. Thanks for sharing. For those of you that insist on spewing your anger on her page for no reason. Get a life. I can almost taste this cake right now! My mouth is watering! Lol This is a must try for me, Thanks for sharing! I’m glad you liked it Lady Lo! I hope the cake’s as good as the ‘northern’ drama. lol , I hope you love this cake Anonymous! WOW, this recipe was on Facebook. I only wanted the pages for the recipe, but I ended up getting the entire listing of comments… so surprised at the level of messiness in grown folk! I just had to add my 2 cent, don’t care if you like it or not… I was born and raised in Boca Raton Fl til 10, then moved to Georgia….I remember them tart “a$$” limes, we didn’t care for them green, yellow or brown. This young lady has take time out of her day to give you “non-cooking nor baking Floridians” a recipe, so that you don’t have to live in Publix gorging out on their “Key-lime pie and crumb cake and causing you more health issues. Its a recipe if you were such a great baker/cook you would have your recipe listed…. To be honest with you vernette, you have a choice in which one you want to use. I think both taste good in recipes! lol I hope when you get those tart a## key limes, they will make your mouth pucker! lol Let me know how your cake turns out! Looks delicious!! I have 2 in the oven right now..one for home and one for work. Thanks for sharing this recipe!! Do you think there is a way to reduce the amount of eggs? I have an egg allergen and anything over 3 eggs in a recipe tends to have me react. If I went with 3 eggs what might I substitute to give same pound cake texture. I miss a good pound cake and a good angel food cake. As I’ve gotten older my allergies have actually gotten worse I used to be able to enjoy those now when I eat them my tongue swells my lip swell. I probably push my luck too much anyway I’ve been told it’s an anaphylactic reaction and I should carry an EpiPen but I don’t! Lynn, here is a link to some great information about making substitutions for eggs. Hopefull this well help anyone who cannot eat egg. http://www.wikihow.com/Replace-Eggs-in-Your-Cooking I don’t think I would eat egg if I had those reactions to eggs, and your right, an EpiPen you should have! Hope this helps Lynn! I think half butter and half fat should be fine. There was an error on the recipe, make sure you add 1/4 cup key lime juice, NOT 1/2 cups. I hope it turns out great for you. I am so very confused that so many people took the time to criticize this nice woman’s recipe. Who cares what the limes are called? And everyone needs a proofreader. She is a baker, not an English major. Just surprised at these comments. Rosetta, please don’t feel you need to respond to everyone. I have learned it doesn’t change anyone’s minds one way or another. Just keep baking. LOL! Take care. Terrie, thank you! I think I kinda expected the comment about the type o’s and grammer….but it surprised me how some people can pick apart what I have to say. I am not great at blogging, I’m a regular baker like most people here…I just made a blog to share my recipes with family and friends and whomever stumbled upon my blog. I go to work every day, I tie my shoes the same way most people do and so forth… What I’m trying to say is, I am not going to have all the answers some of you want. Maybe I should have the blog closed to everyone else except family and friends. Too much negativity on this site for me. Sorry Anonymous…I agree, but I think it’s settled down on this thread…hopefully anyway. This blog has been sitting here for 2 years and I’ve only had about 40 followers, but, for the past 3 – 4 days it’s gone crazy…especially this recipe. There must have been one follower who posted this recipe on a popular site…maybe even Pinterest, but since then I’ve gotten an extremely huge number of hits, and new followers and tons of messages. I think I’m just about caught up on my messages…Whew! Anyway Anonymous, there are lots of great recipes here. I have a Key Lime Cake…recipe by country western singer Trisha Yearwood’s recipe, and I have some mouth watering Key Lime Coolers…they melt in your mouth. I’m sorry for all the drama…but I think it should resolve soon…if not already. My name is Roxie. Im from Key West, Florida and i’m very familiar with key limes. To respond to Donnas comment key limes are green before they turn yellow. I actually like the taste of them better when they are a light green. Once they turn yellow. They get a little bitter, and I’ve found that the Nellie and Joes key lime juice that is bottled in Key West works well in this recipe. I baked this cake today. Not once, but twice! The first cake was not done on the bottom half. I thought I didn’t cook it long enough. I went back in the kitchen and did it again. This time I baked it 1 hour and 30 minutes. I checked it with a skewer so that I would be sure I was checking it all the way through. The skewer came out clean. Again, the bottom half was not done. This cake batter seemed thinner that my normal pound cake batter. Should I cut back on the amount of milk? I read an earlier post that someone else had this same thing happen to them. Any suggestions? Linda, I’m so sorry. 😦 I copied the message I typed for you from a previous message F Mashburn, she had issues also. Thanks for letting me know. I got the recipe out of a cookbook, so I’ll look at the recipe again (I think I know which cookbook) to see if I’ve typed up something wrong in the ingrediennts. Instead of all the comments that resulted from Rude Southerner’s post regarding the lack of knowledge on the color of various limes (who cares), I would prefer to read how others’ Key Lime Pound cake turned out. I am so far impressed with what I have baked and cannot wait to try it. Mine is currently cooling on the rack and the anticipation is killing me. Thanks Rosetta for sharing your delicious recipe. Next time I am making this with tequila and serving it at our Thursday Night Girls Club to be enjoyed by all the girls! Thanks Lora, I hope it turned out great for you! Who cares? Just make the darn cake! Use lemon, limes, key limes or just plain juice. What size cake pan did you use because on this picture the cake looks like a twelve cup or a bigger cake pan. Tiffany, I’ve had my tube cake pan for so long I’ll have to see what sze it is. I measured it and it’s 10 inches across and 4 inches deep. Saw this on FB yesterday, and just HAD to make it last night. Never made a pound cake from scratch before, but this recipe is a keeper! The cake is AMAZING and will be just fine plain – without any lime zest/juice, or with lemon or orange. Only thing I’ll do differently is let the cake cool completely before adding the glaze to it. The recipe says to let it cool at least 1 hour before pouring on the glaze. Sometimes I like to put holes in the cake with a wooden skewer and double the glaze and pour on top, letting the glaze seep into the holes. Nicole, I corrected the amount of key lime in the cake, it’s 1/4 cup, not 1/2 cup. Any suggestion would be appreciated as I would like to try it again. Jeannie, there was a typing error when I typed the recipe and I’m so sorry this has caused the cake to turn out the way it did for some of you. I’ve also had followers say it turned out perfectly. I also got a message from a member who found the same recipe from Southern Living online and the key lime juice is supposed to be 1/4 cup instead of 1/2 cup. I’ve corrected the recipe Jeannie. I’m really sorry I didn’t catch that. From what I remember, it was a cookbook about comfort food (Southern Living Comfort Food). I usually put where I got the recipe from but forgot to post it at the bottom of this recipe. It will be corrected with the information to Southern Living recipe. Just made this recipe and it so good. I think I only put 1/4 teaspoon of lime juice instead of 1/4 cup by mistake. But I don’t think it could have tasted any better. I made sure I brushed the outside of the cake good to get the lime flavor that was in the icing. Thank you so much for sharing. A favorite for me. So glad you enjoyed the cake Debbie! I did change the key lime juice to 1/4 instead of 1/2. This pound cake is really good to me and I’m not sure what some people are having issues with it. Hopefully the change in the key lime juice made the difference! Glad it’s now become one of your favorites! You really should try the Key Lime Cake and the Key Lime Coolers (cookies), they are also really good! This one is in the oven right now. I wonder how it would be with some cream cheese to make it reminiscent of a key lime pie? Mixed in with the batter or the drizzle icing? I have your cake in the oven now! Hoping it turns out as good as yours… I did not use key lime, but lime . Hopefully it will not spoil the taste too much, thanks for sharing. Mavis, it comes out well with limes also…but I hope you saw that the recipe uses 1/4 cup key lime juice instead of 1/2 cup key lime juice, I had made the correction in the recipe. Hope it turns out great for you! Perhaps a bit of both. Replace half the butter with 8 oz (maybe a little less) of cream cheese. And a standard cream cheese frosting thinned with the key lime juice. In other news, my cake has been out of the oven, drizzled (holes punched with skewer) and waiting for complete cooldown for tonight’s dessert. I followed the recipe precisely and it came out perfect. Can’t vouch for the taste yet, but the batter spatula was yummy! I made this cake today and it is delicious. I used lemon juice instead on no zest but it still came out wonderful. Thanks for sharing this great and easy recipe!!! lol, I understand Mandy, we do love our pets! I made the cake with 1/2 cup lemon juice and it came out fine. I didn’t see the correction until after the cake was already done but it came out great. Whew! Glad it turned out for you Mandy! I agree with Karen about the critical comments. I looked up key limes and the picture and description on Wikipedia sure does look just like the limes in the picture. In reviews I read about a recipe called 5 flavor pound cake. I would love to have the recipe. I cannot wait to make your Key Lime Cake . What I am wanting too know is does the Glaze on while the cake is HOT ? And , do I use the Key Lime Zest and Real Lime ( which is all I could find) Will this work with the recipe ? I do make a lot of Pound Cakes but never the used the lime is anyway so this is all new too me. Thank-you !! Janice, I usually double my glaze and pour half of it on top while it’s hot and after it cools, then I pour the other half on top. This cake is delicious even with regular limes….it’s all up to you what you want to use. The lime flavor is much stronger using Key Limes. YOu can also make this a Lemon Pound cake also if you want to use lemons. Don’t remove the cake from the pan for at least 10 minutes, then remove to a cooling rack. Place parchment paper or foil under the cooling rack so the glaze will fall into the paper or foil. 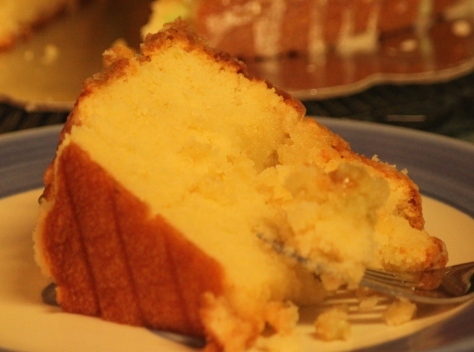 YOu can use a scraper or spatula to gather up all that lime glaze under the cake to put back on the cake. You can also poke holes in the cake if you want so the glaze will ooze down into the cake. Hope this helps! Sorry if this question was asked earlier, but is it possible to substitute either another half cup of butter or a half cup of canola oil for the shortening? Thanks!! Randon, I would used butter before the canila oil. IF a recipe calls for 1/2 cup of shortening (and you don’t have it) you can use 1 stick of butter instead…should be fine. It could also be not following instructions to the letter. Little things like having to add some ingredients slowly and blend well after each addition instead of taking shortcuts and dumping everything in at once. It took me awhile to “make” this cake because of the way the ingredients had to be added but it sure was worth it. My mother is bedridden and I am her caregiver. I gave a piece of this cake to her physical therapist and he loved it. When the visiting nurse came by she said she had heard about my cake so I gave her some too. It was a big hit around here. I still have some sliced and ready to go stored in the freezer for any other visitors we may get. Stick it in the microwave for about 30 seconds and it good as just out of the oven. What if I use canola oil as an alternative to Crisco? Anonymous, I personally would not use canola oil in place of Crisco, I don’t think it would work, but maybe someone else has tried it and can let you know if it worked. I would use a butter with canola oil instead of the liquid oil. I made your Key Lime Pound Cake this past week and took it on a girls trip over the weekend. I followed your recipe to a “T” and nothing went wrong and I had no problem at all following your instructions. I forgot to say as well that I only have one pound cake that I can make and it not flop so your instructions were awesome. All my girlfriends thought it was absolutely awesome and want the recipe. Thank you so much for sharing. Dottie In North Carolina good ol southerner. Thanks for your message Dottie! It’s strange that one person will say it turned out great and another will say it didn’t….thanks for letting me know it turned out great for you! I love this pound cake and have never had issues with it. Glad your friends liked it also! I’m going to try using the baking powder and if it doesn’t turn out I’m doing it without the baking powder. Never made a pound cake using baking powder. Made one one time and used self rising flour and it failed. Only one to ever do that. Hope it turns out for ya Marty! It is a very good pound cake…but there have been a few followers that made it and it didn’t turn out right for them. Have all your ingredients at room temp. If I have to make a cake in a hurry and don’t have time to let them sit until room temperature, I put my eggs in a bowl of hot water and let them sit for 5 minutes. I also put my cream cheese in the hot water and I sit my sour cream and milk in a bowl in the hot water…before I know it, all my cold ingredients are at room temperature. If you don’t have key limes, regular limes are stil good in this cake. Instead of shortening, can I use coconut oil. It has the same texture as crisco…just a little healthier. I also wonder if I can use Splenda instead of sugar. I’m not sure Helen, I always worry about substitutions when it come to Crisco. I’ve always made this take with the Crisco; I would hate to tell you it would work and it turn out bad. I would maybe give it a try, that way you’ll know if it works for other cakes, but it is an expensive mistake if it doesn’t work. Hi, my first time here. I fancy myself a baker, of cakes mostly, and this cake sounds delicious. The look of the sliced piece looks smooth, delicate and rich. I going to try it, I’m glad I can use regular limes because I’m in the north and would have to go far out of the city to find key limes. I’m retired so I’ve been looking for different recipes, especially muffins, so I hope you have some good ones. Thanks for the blog. Thank you Ko Ko and welcome to my blog! This pound cake is delicious with regular limes also. Ko Ko, I don’t think I’ve posted very many muffins yet, but hope to add more of them later on. I am having a cupcake party next week and thought it would be cool to make mini cakes. How long would you say to cook them? They would be put in the mini bunt pans that 6 comes to a pan. Any suggestions? Kelly, every oven is different so it’s hard to say exactly how long. I would set my timer for at least 20 to 25 minutes to start. This is a pound cake and pound cakes take much longer to bake. I would check it every 5 minutes after 20 minutes of baking. Even when I make a new cake, I check it often as it gets close to the baking time the recipe calls for. I’ve baked mini cakes using my mini cake angel food cake pans, but not the mini bundt pans,, so can’t say for sure how long. This cake is not a chiffon cake, so you can safely open the oven door to check it. Use a toothpick and insert it in the middle and if it comes out clean, it’s done. Thank you so much for your input! I am getting ready to make them now! I will let you know how they turn out and how much time for future reference! Thanks! Anonymous, sorry I was not able to answer you before now. I’m not sure what you did, but I hope it turned out for you. I hate when help is needed and your not able to get an answer when you need it. Anyway, to fix an icing or glaze when it is too think, just thin it out with more of the liquid you have in the recipe. Also, powdered sugar should be sifted before using it in a recipe. If it’s not sifted, you tend to add more powdered sugar. By sifting it first, the powdered sugar is much lighter, therefore your not adding as much. Hope this helped. I just made the key lime pound cake. Absolutely delicious! i realize this has been here awhile but I am just now finding it and am very happy to say the least. I will be making this over the week-end. We love anything Lime OR Key Lime…I also make a Key Lime pie and a out of this world Key Lime double layer cake! Neither last near long enough in my family…but I am very happy to see this one…..Pound cake…well of course, there HAD to be a pound cake that was Key Lime….Just had to be and here it is…Thank you so much Rosetta for sharing as I would probably never had found it…Anything pound cake has got to be over the top good! I look forward now to going through all your other recipes and have a few new additions to my collection of different food! I am just about as Southern as possible…born and raised and still in Arkansas…South Arkansas at that…and we are indeed raised with knowing how to be kind, gracious and charming among many other things. But we can and will knock your socks off with sarcasm with that same sweet smile and charm to where unless you are also Southern, you will never know what hit you! All the while being a true Southern Belle! 🙂 …So to the person…or maybe now it’s personS….Let me just add…. Well, Bless Your Heart Honeypie! Ha ha Sue, loved your message!! lol Southern Belle for sure! Sue, I have had a few followers say this recipe did not turn out for them…so, let me know how it turns out for you when and if you get a chance. 🙂 Please have all your ingredients at room temp and really read what the instructions say. I’m sure you do read what is written, just had to throw that in! This pound cake has always turned out for me! I do plan on making a page for members to post their favorite recipes soon. Thanks, I will bake this cake Saturday. Thanks for letting me know Rita…hope you enjoy! Hi! I’m hoping to add the key lime ingredients to Betty Crocker’s GF Lemon Pound Cake recipe. Do u think I should make any adjustments besides taking out the lemon and almond extract? Penniana, I looked at Betty Crocker’s GF Lemon Pound Cake and I’m not really sure about what I would do to make the changes, but I’d start with using key lime zest in place of the lemon zest. I’d also continue the same other ingredients, but I’d probably add 1 Tablespoon of key lime juice in place of the 1 teaspoon almond extract. I would make the glaze for the key lime pound cake as it is and pour over the pound cake. If the glaze is too thick, add a little more key lime or lime juice, if the glaze is too thin add a little more confectioner sugar. I am not familiar with gluten free recipes at all so I may be telling you something that would not work. Anyway, if any followers out there have any suggestions for Penniana, feel free to let her know what you would do. Hope this helps Penniana. Good luck! Enjoyed reading your blog and was wondering what part of good ole WV you are from. (have a typo ‘modern’). Love your recipes. Curious… Should the eggs or other ingredients be at room temp? All pound cakes I have seen needed to be at room temp but yours doesn’t say so… Is it important? This is a wonderful recipe. I have made it in 3 layers and doubled the glaze recipe to glaze each layer. It is not an overly heavy pound cake-/it’s just delicious. Great recipe! I just tried it using the Pampered Chef Square Muffin Pan to make mini-loaves. They came out great! I baked them for about 35 minutes. Thanks for a great Key Lime treat! Have made this pound cake twice now (once with tequila once without) for 2 separate Masters parties and it’s a HUGE hit! I did a 1/4 cup tequila with 3/4 milk and everyone was begging for this recipe! Thanks for sharing!!!! This look so good can’t wait to try. Thank you, I’ll look into it. 🙂 Thanks for letting me know. I see where (I think) it can be fixed, but I’m at work and it’s blocked, sooooo I should be able to fix it at home late this evening. I’ve had your recipe for this delicious cake for several months. Last night I decided to look up the recipe and bake your cake. I baked it this morning. It turned out great!!! I followed your recipe to the “T” and had not the first problem. It rose beautifully and was a perfect brown. Just had a piece and oh my gosh!!! It is delicious. After reading prior comments I wanted you to know that I had great results. I baked it in a regular metal pound-cake pan and baked it on the “convection bake” on my stove. I’m in Orlando, Fla. Great weather here…perhaps a little warm…91… for some folks. I’m a sixth generation Floridian….Thanks for your hard work and delicious recipes. This cake is never consistent when I bake it. I baked it the other day and when I checked it it appeared done but it ended up not cooking completely and you can visually see the spots. Other times I’ve made it and everyone loved it! HELP!! 6. butter needs to be at room temp when baking (if recipe calls for softened butter) if you forget, microwave no more than 5 seconds on three sides (this usually works for me, but you have to make sure 5 seconds only on 3 sides only…so 15 seconds total, any more then that the butter will be melted in the center. Try with one butter to see how it works for you, everyone’s microwave is different. 8. check and recheck what ingredient’s are going into the recipe (many times I’ve forgotten an ingredient when I’m in a hurry)! Hi Rosetta: I love your blog and have made several of your cake recipes. I just made the Key Lime Pound Cake. I used buttermilk instead of regular milk. The cake is so moist. It is delicious!! This is a good basic pound cake recipe. Thank you for sharing with us! Thanks for your message Myrle and the tip using buttermilk instead of regular milk. I’ve had a few members say this cake has not turned out well for them. I posted various reasons why, but it’s hard to say when your not in that person’s home. And Myrle, when you say it’s a good basic pound cake to use, that’s so true. This cake can be changed in so many ways just by using a different fruit or flavoring. It’s thinking outside the box as they say! Glad you enjoy this recipe. Thanks again for your message. I’m not sure why your getting the same comment 4 times (same comment), but I’ll look into it. Thanks for letting me know. Made this for Christmas and it was a huge hit! People who claimed to dislike key lime even kept going back for more! Tomorrow I’m going to make another one, only this time I’m trying it with lemon. Thanks for a great recipe.. Thanks for letting me know it turned out great for you. I’ve had a lot of compliments on this cake, but occasionally I’ll have someone say it didn’t turn out great for them. I gave lots of reasons why the cake may not turn out great, but I’ve never had an issue with this cake. I keep telling myself I’m going to make this cake using lemon also, but then I forget!! I’m sure this cake is great with the lemon also! Happy New Year to you! Ask, this seems to be the only thread that has the gossip on it! lol For some reason people get really hot about the difference between a lime and a key lime! lol Have a great day ask! All I wanted to do was print the recipe not the whole worlds conversation, fix you print site please!!!! Anonymous, I do not know how to change the settings. I have looked and looked. I would suggest that when you go to print the recipe, set your printer at that time to print page 1 and 2 only….or how every many pages you want. I’m not a computer wiz, but I do know how to change my printer settings. I made this site for family and friends mainly, but I’m happy to share the things I bake with anyone else who follows me, and for those who just want to print out a recipe they find interesting. I see your upset by all the exclamation marks….sorry, but if anyone knows how I can fix the print to print the recipes only, I welcome the advice. Anonymous, your not the only one who has mentioned this. Pingback: Five Friday Facts and Another Cake Recipe | Sweet. Southern. Run. Thank you. Happy my cake turned out well for you. I’m gonna make this yummy sounding cake for our Carolina Panthers football party this Sunday! I’m torn about using key limes vs Persian limes! The key limes I see at the grocery here always look so old, but I want a deep lime flavor! i am thinking of making a gluten free version of this…..but i don’t like the thought of using crisco(yuck) a pound of butter???? I would think a pound of butter would work as a lot of pound cake recipes use a pound of butter (hence the name). Let me know how it turns out and if it turns out great, we would love for you to post the recipe if you want to share. I have not baked gluten free yet, but I do a vendor show at a Farmer’s Market in Foley, Alabama every Saturday and often have people ask if I have anything gluten free. Hope it turns out great for you. I recently make Key Lime bread for the market and I sold out of it very early. When I have time I’ll post the recipe for it. Thanks for your message. Looks very wonderful!! Thank you for sharing this wonderful recipe. Thank you Dorothy! Hope you enjoy! I have a wonderful key lime bread recipe that I hope to get posted soon. I sell it at a farmer’s market and it’s been the first bread to sell out. I’ve been so busy lately that I’ve not had time to update my blog, but, hopefully soon I’ll be able to do a few updates. Thanks for your message. I make this recipe 2-3 times a month! my hubby is a key lime lover, we served it for parties, given it as house warming gifts and have made it for no reason at all! lol! I made a mistake and licked the batter and now it has become a habit! My daughter a pastry chef has now become the bake of this wonderful recipe, i keep trying to try something else but this has become our mainstay! thank you so much- your cake is a wonderful blessing! Awwww thank you so much Andi, your message really touched me. I love to hear that the recipes I post become favorites in other families for generations to come. I am now selling my baked goods at a Farmer’s Market in Foley, Alabama (you can Google it) and I’m really enjoying selling things I bake. I am now selling Key Lime bread and it is a hit! I sell out every weekend even when I keep making more and more of it. I’ll have to post the recipe soon for you to try. I also have some Key Lime cookies that I’m pretty sure I posted that are also very good. I am so sorry I’ve not updated my blog in quite sometime, but I’ve been so busy with the market and now beginning my photography business, I’ve not had time to update this blog…………but, I really need to!! Thank you for your sweet message Andi and God Bless.